NCAB Group USA, today announced the appointment of Jim Anderson at FlagIron, Inc. as its representative for key accounts in Oregon and California. Anderson has several decades of experience in electronics. He spent his early career in engineering and manufacturing, developing process improvements in piezoelectric and ultrasonic products. He holds several patents in this field. Anderson has served as president, vice-president and other executive management positions in Fortune 500 companies and smaller entrepreneurial companies. Most recently he has been focused primarily on sales and marketing management. He has managed many growth situations, and worked through several serious downturns. 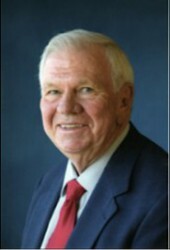 For more information about Jim Anderson and FlagIron, visit www.flagiron.com.